Break chocolate bars into pieces and combine with Andes™ crème de menthe baking chips in the bottom of an ungreased 10-inch cast-iron skillet. Top with marshmallows. 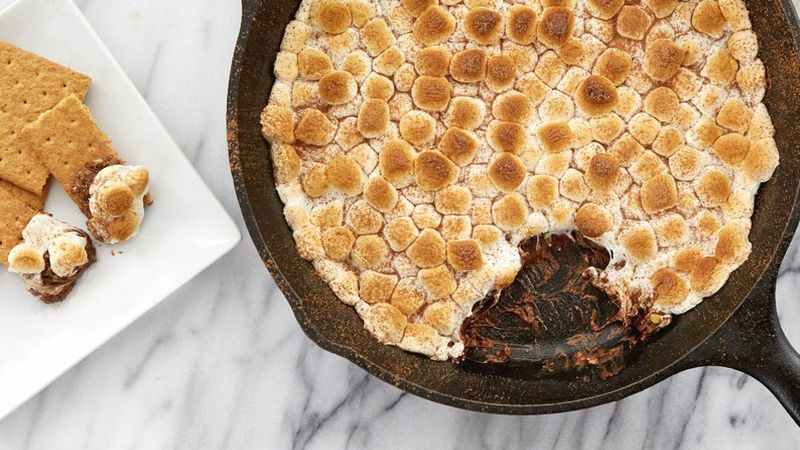 Bake 5 to 10 minutes or until marshmallows are golden brown and toasted. Dust top with cocoa powder. Serve immediately with graham cracker pieces for dipping. 1 cup of milk chocolate chips can be substituted for the chocolate bar pieces. If you don’t have a cast-iron skillet, any oven-safe skillet will work.